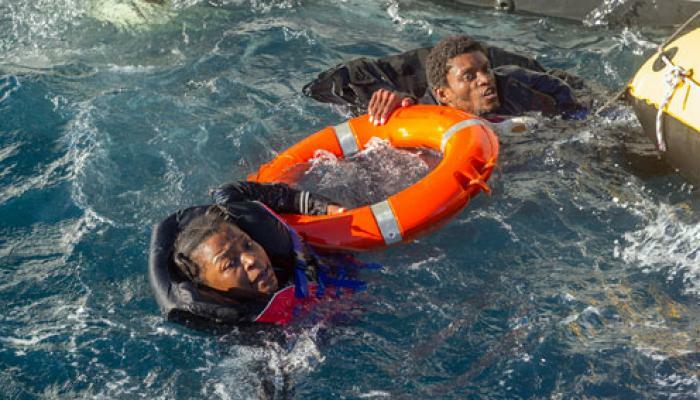 The rescue of 495 people of sub-Saharan and Maghrebian origin by the Spanish authorities highlights the migratory crisis unleashed in the world in which the inhabitants of third world countries try to get away from the difficult conditions in which they live. The immigrants, including numerous women and children, were intercepted Wednesday when they sailed aboard 10 pateras (rudimentary boats) in the Alboran Sea, in the westernmost part of the Mediterranean, said the Spanish state agency. All the rescuers are being transferred by the Salvation Coast Guard – in charge of security in Spanish waters – to the ports of Malaga and Algeciras, in southern Andalusia, the region of Spain most affected by irregular immigration. Tens of thousands of refugees and illegal migrants, mostly from Africa, try each year to reach European shores in fragile vessels or across the borders of Ceuta and Melilla, Spanish enclaves in northern Morocco. Many choose to extend their terrestrial itinerary to Moroccan territory and cross from there to Spain, instead of crossing the dangerous Libya to embark towards Italy on the well-known central Mediterranean route. According to the International Organization for Migration (IOM), the people who intend to reach the coastline of this Iberian nation are mostly from Morocco, Algeria, Guinea, Cote d’Ivoire, the Gambia and Syria. Until November, 25, 51,984 undocumented immigrants took the western route (linking Morocco or Algeria with Spain) from the Mediterranean, while 23,000 did so through the central part (between Libya and Italy), IOM said in its more recent report. Spain this year became the first access road for migrants and refugees by sea to the so-called old continent, ahead of Italy and Greece, according to data compiled by this agency based in Geneva. At least 631 African migrants died trying to reach the coasts of this Iberian nation so far in 2018, almost three times more than in all 2017, and the situation is increasingly “alarming,” said the United Nations-associated agency. United.